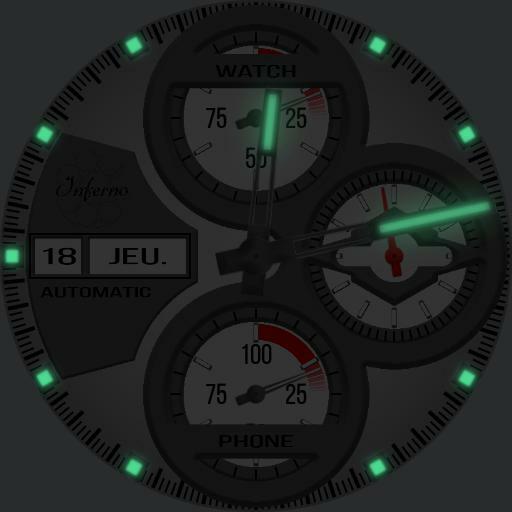 Battery Meter for the watch and phone. Automation of day and night mode, depending on the sunrise and sunset. To change the settings of glow and night mode, click on the logo above date. Effect of light and shade depending on the inclination of the watch gyroscope for 3D rendering.